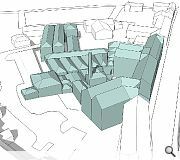 New life is to be breathed into a disused Hawick Mill with an application for selective demolition and re-use to create new homes. 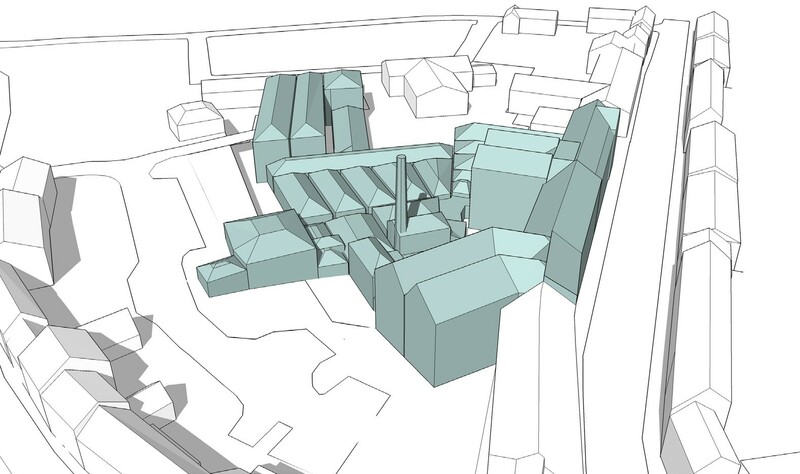 Proposed works will entail the demolition of existing single storey sheds, opening up remaining structures, including a former production area and yarn store for conversion, while retaining the sites industrial character, including a landmark boiler house chimney. Aitken Turnbull Architects and Pescos Developments will kick off this plan with the creation of ten apartments earmarked for the over-55’s. In a statement the architects wrote: “The initial phase comprises the demolition of the single storey northlight and redundant internal structure and conversion of the former production and yarn store to form 10 two bedroomed apartments. Market research has indicated a strong demand for well-appointed conveniently located apartments for residents over the age of 55 and accordingly the applicant is content to enter into agreement restricting occupancy to over 55’s only. Early interest has already been expressed by people who once worked in the factory. 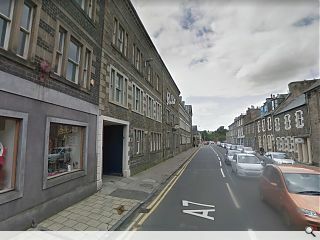 Built between 1897 and 1923 the C-listed Peter Scott complex was famous in its day as the largest privately-owned knitwear brand in the town.